Our unique combination of landrace genetics injects a lot of vigour into this strain and the thick shoots from mother plants provide quality cuttings over an extended period. Due to the extreme density of the buds approx. 20-25% of the plants show some mold susceptibility in the top third portion of the head bud in the last week of flowering. Therefore, this strain is best grown in spaces with humidity control (extraction fan, ventilation, night temp. above 20°C or 68F). 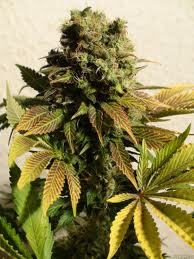 You should also water sparsely in the last week of flowering. Wait until the plants have slightly droopy leaves and give them just enough for their daily requirement. This is a tried and tested method for strains with dense buds and very effective. 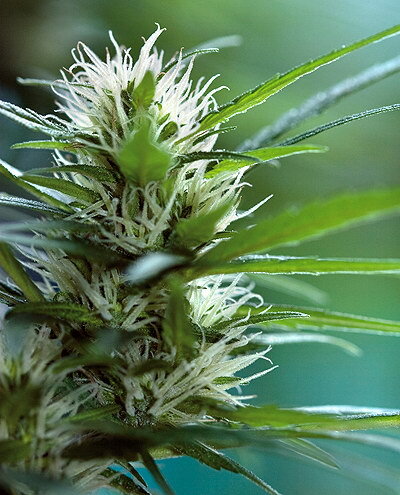 A daily check of the top half or top third portion of the head bud during this period lets you detect mold early before it can cause any damage. Growing with clones, SCROG, and pruned plants (indoor/outdoor) is not affected by a higher mold susceptibility. 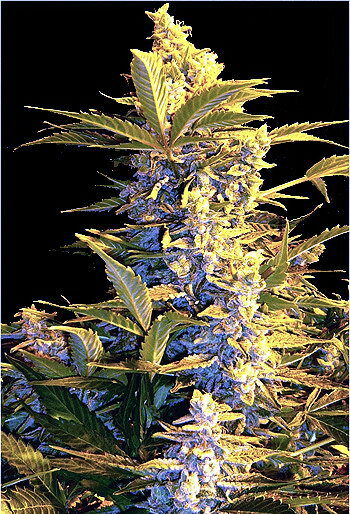 The dense and crystalline buds have a rich, skunky smell that underlines the top quality of the smoke. A heavy-duty grinder is recommended for these chunky buds! The taste evokes the times of the finest Himalayan hash in the 1970’s - sweet and earthy with a chocolatey finish. Ganesh combines the best of both worlds: it’s dense, glittery indica nuggets have great ‘bag appeal’ and the sativa-dominant high leaves you functional, social, yet relaxed. It’s a great smoke for fun activities like a beach party; lying in your hammock and watching the sunlight flash through the trees; sensual leisure or bodywork such as massage, yoga, tai-chi; and all kinds of creativity. Copyright © 2010 - Weed-Seeds.net. All rights reserved.